We live in an awesome world. 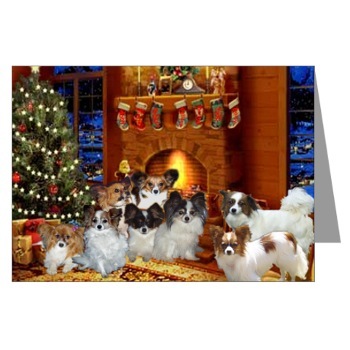 Make it an awesome day..
GreatDogSite.com provides comprehensive, in-depth Papillon dog information and covers over 700 dogs. PuppySites.Com - The Dog Lover's Online Directory! If you are looking for a dog-related website, this is a great place to start. We're a large and resourceful directory with a personal touch! Papillons are born very tiny -about the size of a small mouse. are toddling around at 3 weeks. I start the weaning process at 5-6 weeks. wiggly little babies that love attention and give tons of kisses. this breed of puppy actually sheds all its hair at the age of around 16 weeks. time frame for their hair to grown in long and silky. Papillon's go through this cycle. Around 18-20 weeks they hit an awkward stage. skinny with scrawny tails. Their coloring and spots change some. loving to run and play only coming for loving when they get tired. they are adorable and loving fluffy balls as a puppy. getting their 'adult coat' -it comes in rich, full and gorgeous. you need to have a bit of faith to see their true beauty. loyal and faithful to the end. He has Fathered so BEAUTIFUL BUTTERFLYS! The Papillon, his name literally means butterfly. He’s been painted by old masters such as Rubens, van Dyke, and Rembrandt. Today, he is a happy, alert and friendly companion with a take-charge personality. Amaze your friends with these interesting facts about this highly active little go-getter. Let’s get started. 9. 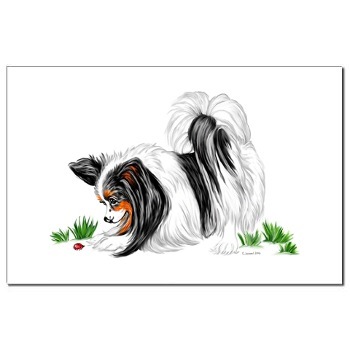 The early toy spaniels from which the Papillon descended had drop ears, but in the 17th-century court of Louis XIV a small spaniel with upright ears was developed and given the name Papillon for his resemblance to a butterfly. But he has gone by other names and nicknames throughout the centuries. He’s sometimes called the Butterfly Dog or Squirrel Dog, along with Belgian Toy Spaniel; Continental Toy Spaniel; and Dwarf Continental Spaniel. 7. 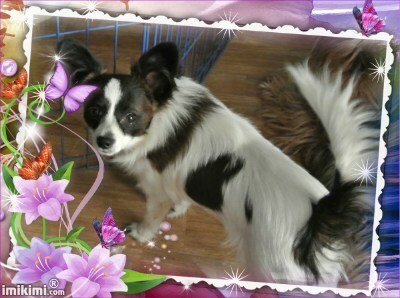 The Papillon is very outgoing and happy. He loves to be around people and gives kisses to one and all. These little dogs get along well with other pets in the household, including cats, and frequently try to boss bigger dogs around. Paps also love kids, as long as they are gentle and non-threatening. 6. 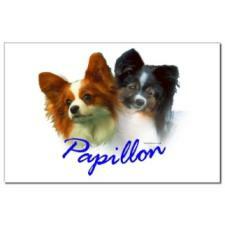 Though the Papillon is registered as a toy breed, don’t expect him to lounge on your lap. This high-energy dog needs a lot of activity to keep him stimulated. He is highly intelligent and gets bored easily, but responds well to interactive games or agility training. 4. 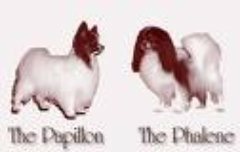 You’ll find Papillons in a rainbow variety of colors, with various combinations including black, brown, red, lemon, sable and tan. All colors are acceptable, but in a show dog white has to be in there somewhere. 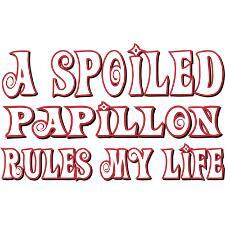 Papillons that are all white or that have no white is faulted in judging. 3. In the bestselling book “The Intelligence of Dogs,” neuropsychologist Stanley Coren ranked the relative intelligence of the various dog breeds. 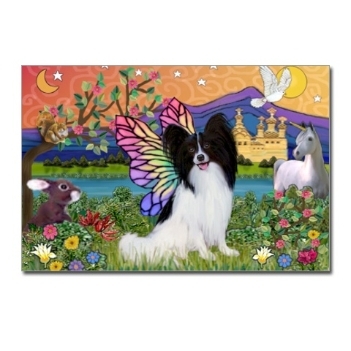 Papillons came in as the eighth-smartest breed. 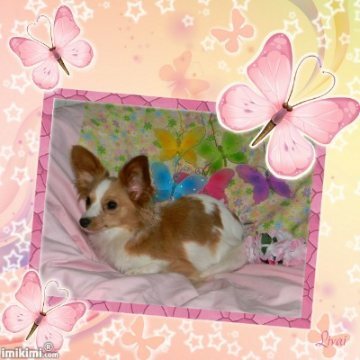 Although Papillons are rambunctious, they are also friendly, excited to learn and eager to train, due to their high intelligence. 1. The ill-fated Queen of France, Marie Antoinette had many dogs during her short reign, but her favorite was reportedly a papillon named Coco. There are rumors that Marie actually walked to the guillotine desperately clutching her beloved pooch. But some accounts maintain that she gave the dog to the governess of her children. Regardless, Coco survived the French Revolution and even lived through the Napoleonic era. At the age of 22, the old dog died and was buried just a short walk from where her owner was beheaded. A small square headstone still marks where the dog was laid to rest. 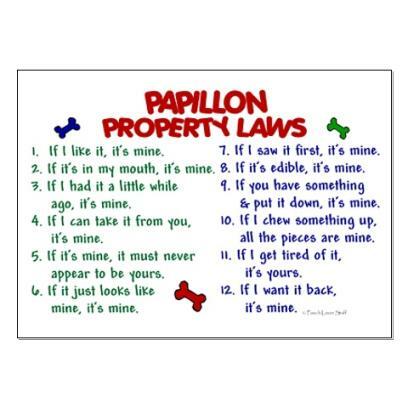 Papillons' are very smart, eager to please and always lovely. The tiniest member of the spaniel family they are also known as the butterfly dog with their big ears resembling butterfly wings, they are truly beautiful. Extremely trainable and often used for agility and therapy, you just can't go wrong with this breed. Their coat is low maintenance although they do shed seasonally. 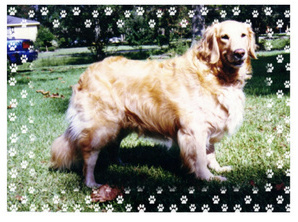 Bathing and brushing once a week is sufficient for most and clipping is generally unnecessary. 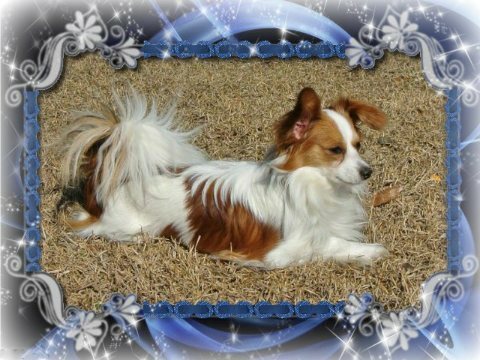 As a general rule male Papillons have a longer fuller coat. At roughly 6 months of age all Papillons go through a shedding stage where their puppy fuzz falls out and their adult coat starts to come in. At this point they may seem to have ?less coat' than when they were little and this is normal. It takes a couple years for their full adult coat to come in. It is also recommended that you brush their teeth as a normal part of the grooming routine. A Papillon's weight ranges from 3 to 9 lb. (although there are larger ones) and are generally long lived. 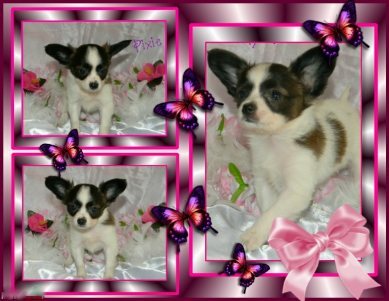 Papillons as a breed can have trouble with knees which can be seen as early as 8 wks with limping or hopping on 3 legs with no apparent injury. They also can have eye trouble (PRA) which can cause them to start going blind by the time they are 2 years old. These are both genetically linked, so tests can be done to eliminate these. Other than that they are very long lived considering they have a good home and healthy diet. Being a small dog you need to be careful that young children do not accidentally drop or harm them. Properly supervised I think dogs and kids go together like peanut butter and jelly. Be aware of the dangers to an unsupervised dog-child interaction. 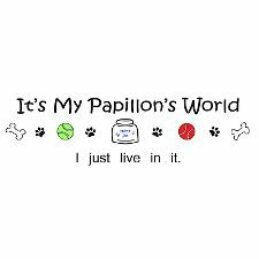 Papillons are small and can be tripped over, or accidentally dropped...all of which can cause seriously damaging injuries and pain let alone thousands in vet bills. All dogs have different personalities and learning rates. Throw in the fact that there is a major communication barrier and it is very easy to understand why a puppy does not always do what we humans would like. To help with training some use clicker training. They say it is FANTASTIC in helping to break the language barrier. There is nothing more amazing than seeing a well trained dog obey a handler to the letter. There are several books and web sites out there that can get you on your way. It can also greatly reduce house breaking time! House breaking a small dog is trickier because they just can't hold it as long as large breeds. They need to go more often and cannot hold it all night until they are much older. I recommend an X-pen at night and any time that you cannot be with there watching the puppy's every move. Keeping in mind that if you work all day and buy a small breed dog...expect to clean up a mess or two. Remember to bring a treat for potty time outside! All puppies require shots and worming. Without these, they could catch one of many contagious deadly illnesses that are out there. The shots allow a puppy to build up an immunity to certain bugs considered deadly therefore giving them a better chance of survival. They need 1 at 6 weeks (usually 2 before and 2 after 10 weeks.) and then boosters every 3 years. Please see your vet upon receiving your puppy for a full exam. Although I cannot guarantee weight (no one should) I can give a good approximation by what the parents weigh and from past litters. Be aware though, that tiny dogs can throw larger dogs and larger dogs can have smaller dogs. Before buying a puppy I sincerely recommend buying a book on that breed. Different breeds require different training and grooming. Please educate yourself so that you will be well prepared before bringing your puppy home. A puppy is a family member who you will have for many years and should never be an impulse buy. On occation we will have a Phalene born into one of our litters for sale. The Phalene is The Drop Ear Papillon. Also called 'The Moth' as the Papillon is 'The Butterfly'. 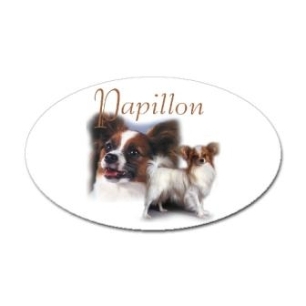 The Papillon is a small, friendly, elegant toy dog of fine-boned structure, light, dainty and of lively action; distinguished from other breeds by its beautiful butterfly-like ears. Size - Height at withers, 8 to 11 inches. Fault - Over 11 inches. Disqualification - Over 12 inches. Proportion - Body must be slightly longer than the height at withers. It is not a cobby dog. Weight is in proportion to height. Substance - Of fine-boned structure. Eyes dark, round, not bulging, of medium size and alert in expression. The inner corners of the eyes are on line with the stop. Eye rims black. Ears - The ears of either the erect or drop type should be large with rounded tips, and set on the sides and toward the back of the head. (1) Ears of the erect type are carried obliquely and move like the spread wings of a butterfly. When alert, each ear forms an angle of approximately 45 degrees to the head. The leather should be of sufficient strength to maintain the erect position. (2) Ears of the drop type, known as the Phalene, are similar to the erect type, but are carried drooping and must be completely down. Faults - Ears small, pointed, set too high; one ear up, or ears partly down. Skull - The head is small. The skull is of medium width and slightly rounded between the ears. A well-defined stop is formed where the muzzle joins the skull. Muzzle - The muzzle is fine, abruptly thinner than the head, tapering to the nose. The length of the muzzle from the tip of the nose to stop is approximately one-third the length of the head from tip of nose to occiput. Nose black, small, rounded and slightly flat on top. The following fault shall be severely penalized - Nose not black. Lips tight, thin and black. Tongue must not be visible when jaws are closed. Bite - Teeth must meet in a scissors bite. Faults - Overshot or undershot. Topline - The backline is straight and level. Body - The chest is of medium depth with ribs well sprung. The belly is tucked up. Tail long, set high and carried well arched over the body. The tail is covered with a long, flowing plume. The plume may hang to either side of the body. Faults - Low-set tail; one not arched over the back, or too short. Shoulders well developed and laid back to allow freedom of movement. Forelegs slender, fine-boned and must be straight. Removal of dewclaws on forelegs optional. Front feet thin and elongated (hare-like), pointing neither in nor out. Well developed and well angulated. The hind legs are slender, fine-boned, and parallel when viewed from behind. Hocks inclined neither in nor out. Dewclaws, if any, must be removed from hind legs. Hind feet thin and elongated (hare-like), pointing neither in nor out. Abundant, long, fine, silky, flowing, straight with resilient quality, flat on back and sides of body. A profuse frill on chest. There is no undercoat. Hair short and close on skull, muzzle, front of forelegs, and from hind feet to hocks. Ears well fringed, with the inside covered with silken hair of medium length. Backs of the forelegs are covered with feathers diminishing to the pasterns. Hind legs are covered to the hocks with abundant breeches (culottes). Tail is covered with a long, flowing plume. Hair on feet is short, but fine tufts may appear over toes and grow beyond them, forming a point. Always parti-color or white with patches of any color(s). On the head, color(s) other than white must cover both ears, back and front, and extend without interruption from the ears over both eyes. A clearly defined white blaze and noseband are preferred to a solidly marked head. Symmetry of facial markings is desirable. The size, shape, placement, and presence or absence of patches of color on the body are without importance. Among the colors there is no preference, provided nose, eye rims and lips are well pigmented black. The following faults shall be severely penalized - Color other than white not covering both ears, back and front, or not extending from the ears over both eyes. A slight extension of the white collar onto the base of the ears, or a few white hairs interspersed among the color, shall not be penalized, provided the butterfly appearance is not sacrificed. Disqualifications - An all white dog or a dog with no white. Free, quick, easy, graceful, not paddlefooted, or stiff in hip movements. Happy, alert and friendly. Neither shy nor aggressive. An all white dog or a dog with no white. 1. The dog is not allowed in the house. 2. Okay, the dog is allowed in the house, but only in certain rooms. 3. The dog is allowed in all rooms, but has to stay off the furniture. 4. The dog can get on the old furniture only, but has to stay off the new couch. 5. Fine, the dog is allowed on all the furniture, but is not allowed to sleep with the humans on the bed. 6. Okay, the dog is allowed on the bed, but only by invitation. 7. The dog can sleep on the bed whenever he wants, but not under the covers. 8. The dog can sleep under the covers by invitation only. 9. The dog can sleep under the covers every night. 10. Humans must ask permission to sleep under the covers with the dog. 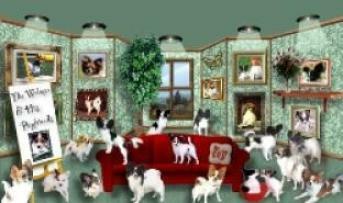 The Puppy Dog Place: If you're a proud puppy owner, or simply love dogs, you'll enjoy visiting The-Puppy-Dog-Place.com! There's lots of tips and advice to help you raise a happy, healthy puppy. Covers housebreaking, feeding, grooming, training, health care and much more. Tons of fun stuff for dog lovers too!. 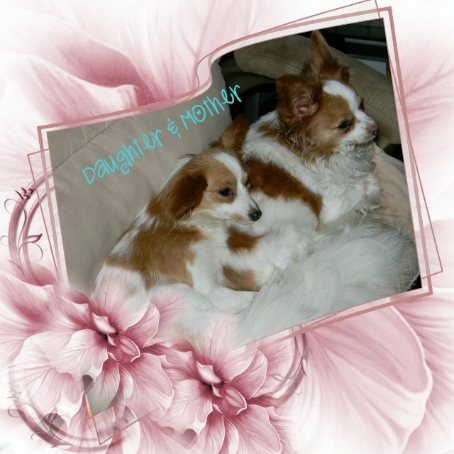 Awarded to top quality pet websites, dedicated to dogs or puppies.